A telephone conversation between the captain of the Costa Concordia, Francesco Schettino, and Gregorio De Falco, a captain from the Italian coast guard, has been released. The phone call reveals that De Falco ordered Schettino to return to the ship multiple times after he abandoned the ship. The recording of the phone call was made at 1:46 a.m. Saturday. De Falco wanted Schettino to get back on the boat so the coast guard could know how many people remained on the ship. 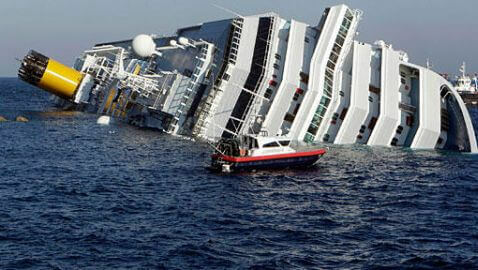 Including passengers and crew, there were over 4,000 people onboard the ship at the time of the accident. “I am not going because the other lifeboat is stopped,” Schettino replies.